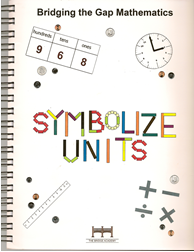 Purchase the “Bridging The Gap Mathematics: symbolize Units and Apply Units”. 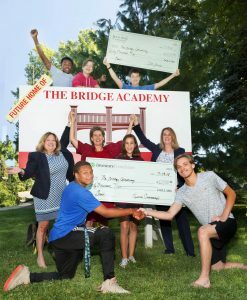 The Bridge Academy has created a math curriculum designed specifically for students with learning disabilities. The curriculum adapts the Orton-Gillingham principles for teaching language arts for math instruction. It uses a multi-sensory approach, with a strong focus on language, and strategies for teaching “automaticity” of basic math facts (addition, subtraction, multiplication, division). The student workbooks are now available for purchase. The Bridge Academy Art Exercises workbook provides teachers with a resource to help students practice the strokes of cursive handwriting in a creative, engaging format and see the practical applications in a form well accepted by the students. Sarah Bernotas developed the workbook to complement the handwriting strokes taught through the Orton Gillingham Approach used throughout The Bridge Academy. Since fluency in cursive handwriting continues to be cited through research as an asset for students in their writing, using drawing strokes to complement the cursive writing program achieves this balance and strengthens their motor connections. Watch this fabulous video that was created by one of our alumni.